Cisco Unified Communications Manager (CUCM), formerly Cisco Unified CallManager and Cisco CallManager (CCM), is a software based IP call agent platform sold by Cisco Systems. Cisco renamed the product to Unified Communications Manager. Version 6 was supposed to merge all features of the Linux appliance (SIP support and licensing requirements) between the Linux platform and Windows version. The released version of Unified Communications Manager will not support the Windows platform. 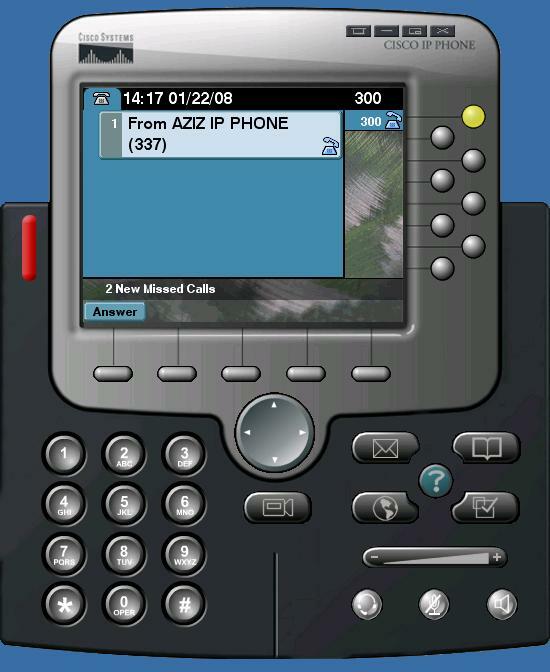 This version added an intercom feature between endpoints, and integrated Mobility Manager (single number reach to multiple destinations, IP Phone, Cell Phone, etc). This version utilizes a slightly different licensing model from that found in 5.X. First off, CUCM 6.0 requires service licenses (for Communications Manager, etc.) and comes with a ‘starter’ license for a single node and 50 device weights (about 10 phones), and will install natively on VMWare for lab purposes. Also released was Cisco Unified Communications Manager Business Edition (CUCMBE, aka Cucumber), which places Cisco Unified Communications Manager 6.0 and Cisco Unity Connections 2.0 (Voicemail) on the same server (with 6GB of RAM). Version 6.1 was released in January of 2008. This site does not store any files on its server. It only indexes and links to contents provided by other sites. Please contact your Cisco representative for a license key and purchasing information. This entry was posted in Cisco and tagged Cisco, Cisco Unified Communications Manager, Cisco Unified Communications Manager 6.0.1, CUCM, install call manager 6.1 on vmware. Bookmark the permalink. Dude, I need your help. I download the CCM 6.0, and successfully install on VMWARE 6. How can I access the CCM thru IE from my host. Do I need to trun on the http access on the CCM. I have no experience using the CCM yet I have some CCM 5 and 5.1 but didn’t successfully installed except your CM 6.0. Please send me I would appreciate your help. goodbyeoddieF25 Tapered FaceKora! Thanks for making videos! Most gurus don’t explain the ingredients used in make-up, but you always go above and beyond by explaining what they are in plain english and what they can do to your skin.Thanks for everything! Hi thanks for the help, anyway I am now installing it in my VMWARE with 2 processor. Can you send me any lab using dynamips and CCM 6 with ip phones. I have vto go software and dyanmips. But no idead how to setup properly. In addition, is it possible to skip the configuration and let it install…. later I will setup the interface…. Would be glad if you could post a tutorial installing setp by step on vmware and a sample 2 labs….. atleast local setup later I will do the WAN setup when I successfullly have this lab…. Hey Mr Aziz thanks kindly for this share, i’ll download it during this but does this soft include a licence cauz with the version uploaded by others members in different sites the CCM 5.1.1002 linux based version, to run the services u need a licence! U can skip the configuration, then configure later. Sorry I hv no dynamips lab. It doesn’t include a license, u need to buy it:-). Without a license, it just “demo version” and as far as I know; demo version only support 8 nodes and 100K device units. Well i hope you cand send me that info….. I managed to download the file. and I need to install it on virtual machine. when I boot the machine by the Cisco Unified Communications Manager DVD. and I follow the steps but when this all finish it says that there is no partition on the hard disk “partitioning failed” and then it boots again. How to partition my hard disk drive to be enabled to install call manager and in what tool? But actually Cisco Unified Communications Manager release 6.0 works as an Appliance on a non-Windows-based Operating System. Works on a specific hardware platform (IBM and HP). read more on install guide. I have failed too, It seem can’t detect HD while installing it on non-branded PC. I try to use my Asus server and it work..
On Vmware config, use IDE harddisk, and Guest OS >>Linux; version >>Linux Other. 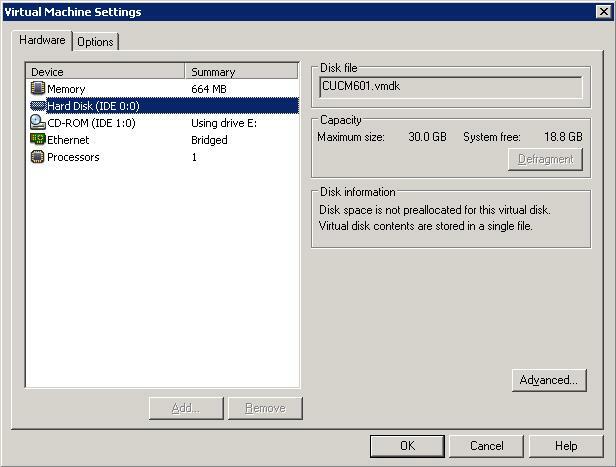 create a 72Gb HDD on VMWARE and the partitioning issue will go away. You dont have to reserve the space. @FAdi Had, you may try it. create 72Gb hdd first.. I had download cisco unified comunication 6.0.1 and install it in VMware . But can’t login to CUCM 6.0.1 with my user name and password . Someone advise for me , Please . I have the same problem now have you find a solution please help me i tried several times please if any body know the answer help me thanks. for login to Operating System Administration, Disaster Recovery System and Command Line Interface. to authorize communications between nodes in cluster. When i try to login in the cli mode inoreder to login gui the message appears login incorrect so if there is any default password or user name plz tell me i tried several times but it didn’t succed please help me . Can you please explain whta does this license report means. i dint install any license ,then how come its showing 100000 nodes and all that? it’s not 100000 nodes, but 100000 Phone License Feature. exp, if you install Cisco IP Communicator on client PC it will take 3 licenses/PC, and cisco ip phone 7960 = 4 licenses/unit. From web interface, Go to “System > Licensing > License Unit Calculator’ for detail. I have installed Cisco Unified Communications Manager 6.0.1 on a linux machine. I only get the CLI prompt and unable to get the GUI. Please tell me how to get the gui. If you install CUCM601 and configure the network correctly as what I said on comment 2, you done!. Read the install guide (cmins601.pdf), you will find more step by step on how to install and configure the network, services etc.. I have installed the CUCM5.0 on VMware. i can ssh with remote computer but i no WEB access. Any idea why. I used to subscribe to Cooking Light years ago and quit doing so for reasons quite like this. They do have some good recipes, some gleaned are still in rotation at my house, but the over all sense of the magazine is quite clueless. They seem to be chasing the polls or something. Not ever quite realistic enough to be convincing and a bit pandering as well. I don’t know how to say it any better, the whole mag just do2#&ns8e17;t quite sit right with me. This cucm 6.0.1 is demo version. for testing only, You don’t need to buy a license. its already support for 8 nodes and 100K phone license feature..
Hi do you have cucm11 or 11.5 or 10😞 unlock version or crack file? Great Britain now finds itself in a very strange and paradoxical position. It is evident that it is too late to change the mind set of the Esialbtshment but it is just that bit too early to hang the bastards! Open Web GUI, then choose ‘Disaster Recover System’ from the Navigation menu in the upper, right corner of Cisco Unified Communications Manager Administration window. You can activate tftp services from “Cisco Unified CallManager Serviceability”; Just open the CUCM 6.01 web GUI, then choose Serviceability from the Navigation drop-down list box in the upper, right corner of the window. the download link doesnt seem to be working…could you re upload it please. Hello Friends where is the Pause in Cisco???? Anyone can share with me there idea’s of Route Pattern for speed dial????????? you do a great job but the link for torrent is invalid could you but another one or check it . I checked already. the link still active.. check ur connection to thepiratebay.org. Great job!! I have installed it aqnd working fine. Thank you very much. Great blog. Believe it or not, your website was the only place i could find about restarting my TFTP server after i kept getting an “inactive” status in the System > Service Parameters section. Still have NO idea why my tftp service was shut off but at least I got familiar with the Tools > Service Activation section. Communicator? I have a COO account but since i’m not affiliated with a partnership, I don’t have license. But someone must have a hack right? 3) I notice that after idle time for a few minutes, CCM requires a re-login. Any way to disable this? After all, this is just my lab setting so no security threat….plus, it gets annoying having keep logging in when I take a break. What is reasonable info for the “Certificate Information” fields? Leaving them blank is not allowed. Love this post. I have never heard of Tim Hawkins but will check out is touring scleudhe for sure. Would like to talk to you about your blog can you email me? I need to know the last windows version of Cisco CallManager ? if some one can tell me and is there any way to manage the CCM6.1 from windows Plateform ? there is a cisco web dialer in firefox.is it the same thing.can you help with the configuration. I’ve installed CCM on vmware. I can surf to ccm but when I click on the admin link, ccm tells me that the page doesn’t excist. Can anyone of you give me DETAILED VMware machine configuration? I’m unable to install system on IDE virtual HDD. I have tried different Vmware Servers (1.x, 2.0) and I was able to run CUCM only on SCIS virtual HDD but whenever I’m trying to open ‘Service Availability’ it doesn’t load – so can’t enable the services. i tried to install it by Wine but without results can you help me ? i installed the version of call manager 6.01 but as some one said above , when the installation finished it and trying to login using the login name and password it gave me error, i install it for 4 times but it give me same thing. I have a hp server dl320g3, i tried installing CCM5, 6 and 6.12, but when it gets to the bit where it has to start the installation, it opens up REDHAT gui interface. then it crashes. it allows me to put all the necessary info. like IP address and all. Can you help me please..why am I getting this REDHAT gui. Have you find a solution for this? Help me Please, i can’t install Call manager 6.1 Cluster node. I need step for installation Thank you. sorry I can’t answer all your question right now. I’m very very busy in my new company.. Yes, the CUCM installation is similiar with Redhat GUI installation. just continue your installation. sorry, I hv no experince on building cluster node. plz MR.aziz OR ANY ONE CAN HELP!! i’m trying to download cucm6 on vmware and it took very long time more than 4 hours and there is a problem im facing,there’s a message saying that “it cannot detect default gateway or it can’t be reached “and after ,it makes me choose between retry or review configuration or halt or ignore and it says that ignore is not recommended(one time i choosed ignore but like this the instalation never ends), so i want to ask ON WHAT IT DEPENDS THE CUCM IP ADDRESS AND THE IP ADRESS OF THE DEFAULT GATEWAY?? ?I TRIED TO GIVE THE CUCM THE IP ADDRESS OF ONE OF THE VM NETWORK CARDS and there are 2 network cards!!! and GAVE THE GATEWAY IP ADDRESS IN THE SAME SUBNET BUT IT DOESNOT WORK!!!!! !HELP PLZZZZZ ON WHAT IT DEPENDS THE IP ADDRESSES I GIVE TO THE CUCM AND THE DEFAULT GATEWAY???!!!!! I am new to Linux, Can some one help me to get the CM6 loaded. Please refer on my answer on comment above..
can demo version cisco call manager 6 be downloaded from cisco site? Salve a tutti, vorrei sapere se le norme riguardanti la recessione di un cotratto per la fornitura del servizio di linea internet a banda larga senza il pagamento della penale abbia effetto retooattivr.in sostanza ho stipulato un contratto con telecom a gennaio del 2006 e per motivi legati a problemi tecnici ho deciso di recedere dopo circa 15 giorni, ora telecom richiede il pagamento dei 12 mesi di abbonamento non usufruiti ma previsti nella durata del contratto. Il decreto potere in questo caso?Vi ringrazio! unfortunately after ccm installation it says, INSTALLATION FAILED, plz tell me what should I do. If you got error Installation Failed, I hv doubt that you did installation till finish. Okay, I have the following server. I boot up the server to the DVD media and it tells me the hardware is not compatible and terminates. At first I thought it was because of the raid, it does this 4gb boot partition in the 1+0 so the virtual disk is only 67gb. Thinking that was holding it up, I changed it to raid 0 so I have a 135gb virtual disk. The installation still errors out with unsupported hardware. What on earth is going on? Any ideas? Localisation files , config and dialplan, etc.. I believe it is the Administrator password i must provide. the user and password are different , so I think, better for you to reinstall again, while you prompted with user/password, write down it on paper (not only the password but the username also), continue installation till finish, then try to login. Why is it asking me for “”Localhost login:””??? and not CCM login???? I entered Admin user and password and still it doesn’t work. I thought it will ask for admin password. Even if it’s the same ,i tried and doesn’t work. I used Vmware workstation 6.5, and VMplayer . you mean, you prompted with “localhost login: ” while you access it using the browser?. what is the IP address of your CCM ? what is the address did you type on browser?. Please, don’t be confused with your localhost IIS web server on your PC/laptop. No,”” Localhost login:”” appears in console mode. I guess i can’t use the browser until i dont log in as admin in console mode. At least this is what i saw in tutorial. I’t like in the picture on top of the page ,with Vmware server console . But mine doesn’t ask for cucm login. idose ask for localhost login. Okay. I think you are forgot; either the username or password. Sorry, can’t help on this. in example above, “CUCM601” its just a hostname. so no problem if you choose “localhost” for hostname. I instaled CCM without erros following the steps in the video of Josh on took down on paper all the usernames and passwords created, basically the same for everyting. After successful installation and reboot, It goes to login prompt. Could some one give me a hand? Hi, I found a solution that worked for me. Did you enter a username and or password prior to setup in VMWare? If you did then you need to start again. This time create a new Virtual Machine and choose to install the OS later (RH3). Then boot up and off you go. The same happened to me a few times. I think its a glitch with VMWare and the way CUCM is built upon the top of RH. would you mind to describe more about that??? I would appriciate it if you could explain the steps that you took for resolving this. After installing the Virtual Machine, how do you then add the OS? Also I am so confused with regards to the IP addresses that we should use, ie the default gateway is which of the adapters, the windows host adapter ip address or the vmware adapter? I didn’t forget the username or password because i wrote them on paper. I used the same username and password for all the logins requested. are both of you using Vmware Workstation?. it quiet strange if setup the hostname “ccm” but you got login prompt “localhost”. Don’t forget while prompted with “DHCP configuration” you select NO, then configure ip address and the gateway also. for DNS client, just select NO. Please be aware that; while you prompted with “Administration Login Configuration”, the user/password are for login to system console. and the another one is “Application User Configuration”, its user/password are for Webpage Console. Please use the Vmware Server instead of Vmware Workstation. I use Vmware Server also while installing this CUCM. I have to develop an xml application customers has to get phone nos from the is IP phone by linking axepta db table..
For that I have downloaded IPSS SDK 7.1 .But I required CUCM 7.0 or any other version. I was searching a lot for CUCM 7.0,but its available for Linux..Is it available for Windows also?? ?what can I use for windows? Or can I use CUCM 6.0??? It worked the way he said. and 40 G of HDD space. Can anybody give me a link on rapidshare if any to download any version of CCM. Aziz, you have been good to us all, pls does CUCM ver 5 runs on vmware worstation 6.0 , can’t seem to bring it to install on mine. I have started seeding your torrent with 16Mbps from Pakistan. i didnt understand your solution Mitza, would you explain step by step, please ? Well i didn’t got the message you had. I don’t know how to solve this.You should try to install again. 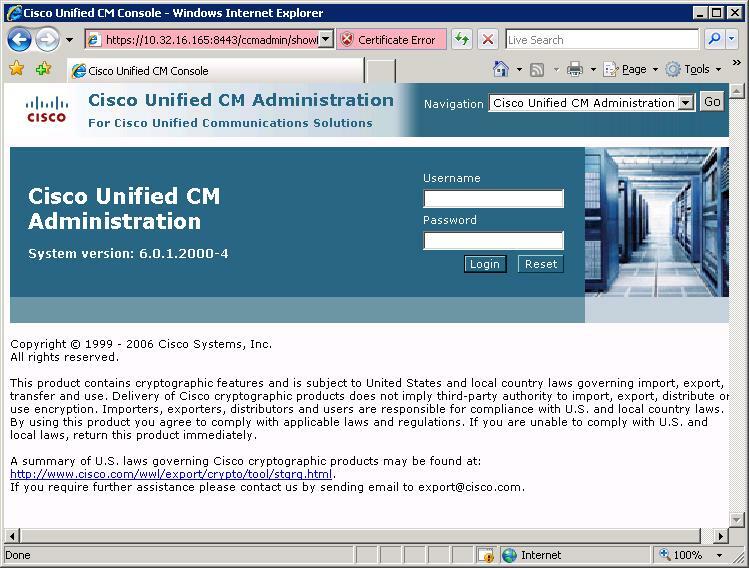 Did you use Cisco unified communication manager 6.0.1? Do you have any document about this? Can you tell me how to solve this problem. I got the same message as you : ” you may dump diagnostic information at this time to a USB storage key …….”. I had used vmware workstation v7 at first, then tried with vmware server. But it didn’t work too. I have downloaded the torrent, do i now need to change the format of the file or just burn a DVD and install it? If I need to change the format of the file then how do i do it and what should be done. to this machine and follow the installation process . I want to know if the below spec of servers support CUCM6 upwards.I am planning to buy one of them and especially the first one with quad core. Please let me know. hi this is Joe, new to cisco voice! cany anyone tell me about how to register a phone to cucm6? I’m very intrested in CUCM testing, I have managed to install the system. Would you be so kind as to tell me (in some short step-by-step) how to set up some BASIC configuration so I would be able to make a calls between two internal extensions using Cisco IP Communicator? I now have a HP Proliant AMD Quad Core server with 1TB HD and 8Gig RAM. I have downloaded the CUCM6.0.1 torrent from above link. It fails to boot with error”Could not find kernel image:linux”. Coudl you guys help please as to what I am missing? I have a problem. With this CCM image, VMWARE ask to install previosuly a Red Hat linuk like OS in order to be able to load CCM. IIS is runing and Tomcat service has been restarted. I installed more than 5 times but the problem still exist . please help how to open the cucm web page? Do u have idea about conntion of Informix Dynamic server of CUCM? isn’t there any other combination ?? He ow are you? the link that you give is not working, please where i get the call manger software? Hey Guys, I have installed vmware workstation on my windows xp machine and tried installing call manager version 6.0. I created a new virtual machine in vmware and mapped it to the correct ccm 6.0 .iso file. But when i try rebooting the virtual machine with this iso to install the call manager, it starts a dhcp request somehow and gives this warning: “Virtual device ide1:0 will start disconnected.” after this the installation just stops. Change the boot sequence. Boot order 1st for yur iso dvd..
what is password and username of the windows login ? JC, will there be pre-paid parking available for SHU season ticket holoHrs?edw many season tickets has SHU sold?How many five-game plans packages has SHU sold?What are the Devils doing to give the place a Pirate Blue look on SHU game days?When will SHU get to practice on their floor? Is there a way to stop CCM logging you off every 15 minutes? This is very frustrating. hello aziz, im downloading the torrent will install and try and give you a feed back. I’m your number one fan and I have look up to yuh Since I was in fourth grade . Your sooooooo good and I want to fulfill my dream and go to the WNBA just like you and be amazing!! I’m only in 9th grade and trying my hardest at evnhtyrieg I do. Hopefully ill make it !! can i get the softphone for CCM version 4 or 6? is there any call centre agent for this version to log and maintain all calls? This is way better than a brick & mortar esasmlithbent. She is probably going through a phase, as you mentioned. I know our kids all would go through periods of this, and then it would pass. Praying that is the case! Wow, superb blog structure! How lengthy have you been blogging for? you made blogging glance easy. The full glance of your site is excellent, as neatly as the content material! Page does not load when I go to “cisco servicebality > Tolls > service activation” …Nothing happens, All I see is “please wait, loading”. I download the call manager as you give the link, please give me the guidance to install the CCM in windows 2008 server. I am from Islamabad pakistan and working in voice industry. our voice network consist of softswitch and cisco gateways enabled TDM e1s. Now i want to setup whole complete cisco setup using CUCM. I downloaded a torrent file for CUCM 6.0.1 in iso. Can you please guide is it instable and is it enough to start. can you please guide me for whole process? Thanks and i am waiting for your reply. I can’t seem to login at the CLI prompt. I use the ccmadministrator a password that I chose during setup but no luck. I am installing this on VMeare sorkistation 8 if that matters. Also I notice I get the Redhat install. Thanks a lot for your website and thanks for finding time to explaing concepts to others. What are the equipments you need to learn CCNA Voice? How long it will take to learn CCNA Voice? 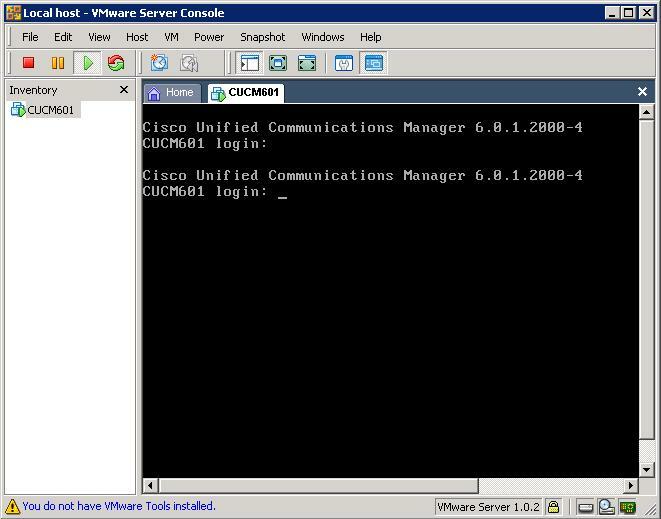 Pingback: CUCM and Unity Connection on VMware. To everyone having problems with the user login. I rooted my froyo Evo with Unvdrokee, once the drivers were installed it took exactly 4 minutes to do. It really could not get much easier. WiFi tethering, here I come! Hey! what is the latest version of cisco unified communication manager? please provide the link to download the latest one! i unlock any version of CUCM 6 to 11 🙂 , if you are interessed contacte me!!! Hi. Can you help to me unlock Cisco Unified Communications Manager (Call Manager) 9.0.1 version. Help me please, I need to version of cisco unified communications manage recovery disk 6.0 with hard work. A link to my email address (tweakommsolution@gmail.com) will be highly appreciated. I would like ask you to provide CUCM 6.0.1.2000-4. Have anybody this version? do you have cucm11 or 11.5 or 10😞 unlock version or crack file? Fingers along, Apple’s app retailer wins by a mile. It’s a colossal album of all types of apps vs a vaguely miserable array of a handful for Zune. Microsoft has plans, chiefly in the realm of video games, nonetheless I am not definite I’d want to wager taking place the extensive scurry rider this aspect is crucial to you. The iPod is a significantly enhanced selection in that case. Have you always accepted wisdom about as well as a insignificant tad further than immediately your articles? I mean, what you say is significant and everything. On the contrary imagine regarding proviso you additional some great imagery or video clips to create your posts added, “pop”! Your pleased is outstanding but with pics and video clips, this blog could definitely be one of the greatest in its field. Fantastic blog!